Today I have this month’s customer thank you cards to share with you. These are a reusable card that I send to everyone who shops with me each month as part of my Customer Reward program. I adhered my DSP layer onto Basic Black and covered the join with some Mini Chevron Ribbon in Crushed Curry. A layered sentiment was popped up over the top of this and it was adhered to a Sahara Sand base. If you’d like to purchase any of the products I used today, please visit my online store. 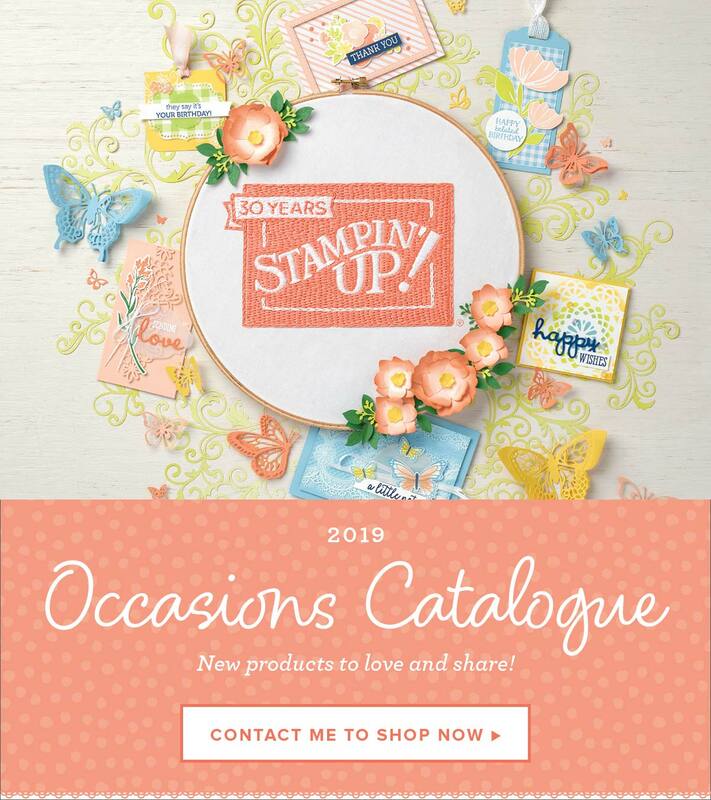 I’d love to be your Stampin’ Up! Demonstrator in Australia and remember to use June’s Host Code: 94A2WQQK when you shop with me to receive your Customer Rewards.